lighter.DO NOT USE IT WITH TRUCK OR BOAT,which have larger input voltage,and may damage the pump. Input:12-24V . This item is designed for 9 Volt Medela Pump In Style breast pump. Not for use with Symphony, Freestyle, Single Deluxe, Lactina, or 12-Volt Pump in Style breast pumps. 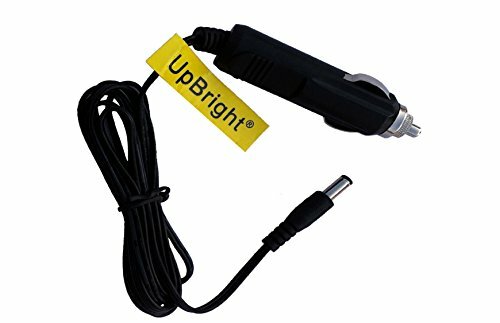 Pump on the go with 8-foot long cord gives you some extra room to charge your pump in any position in the front seat.Red led light indicating power status. How to get 1 year warranty and friendly customer service for your Breastpump Car Adapter: Please contact through your order CONTACT SELLER to reach us. This is a direct replacement for the SIRIUS and XM PowerConnect Vehicle Power Adapters. Paired with the PowerConnect Vehicle Dock it allows you to wirelessly transmit via FM with great results as well as power your radio. Works with the Following PowerConnect Vehicle Cradles Only -SiriusXM Interoperable PowerConnect Vehicle Dock SXVD1A -XM PowerConnect Vehicle Dock XDPIV1, XDPIV2 -Sirius PowerConnect Vehicle Dock SDPIV1 -XM XMP3i (PowerConnect) Vehicle Dock XAPV2 -SiriusXM Lynx Vehicle Dock SXiV1 IMPORTANT: It is crucial to confirm compatibility with your dock. This Power Adapter ONLY works in conjunction with Red Color Coded Vehicle Docks/Cradles. PowerConnect is a method of connecting your radio to your car stereo's FM Radio. 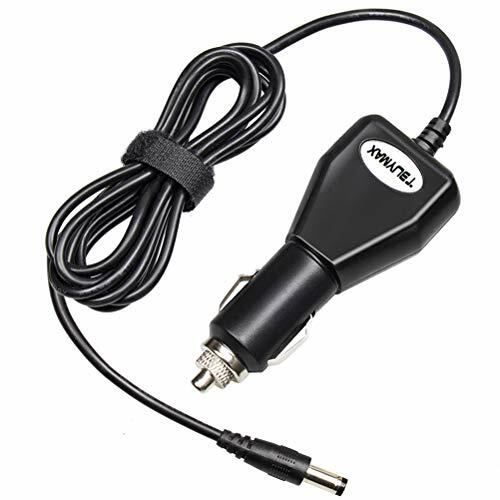 Put simply, PowerConnect cigarette lighter adapters send an FM signal to your car stereo rather than through the air. 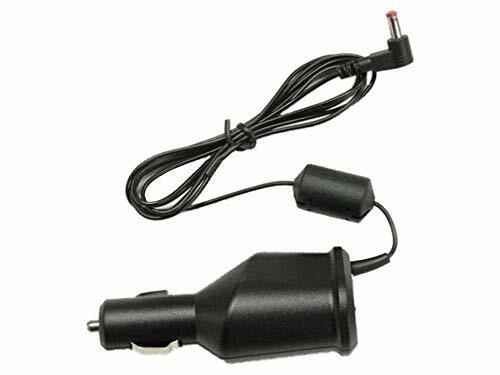 Specifications Input: DC 9-16V Output: DC 5V / 1.5A Cable Length 4'6"
Compatible - This AC to DC adapter is compatible with any device that has a car charger head up to 12V. Power Converter - Any outlet from 110V (most common) up to 220V will convert into 12V on the cigarette socket and 5V on the usb socket. 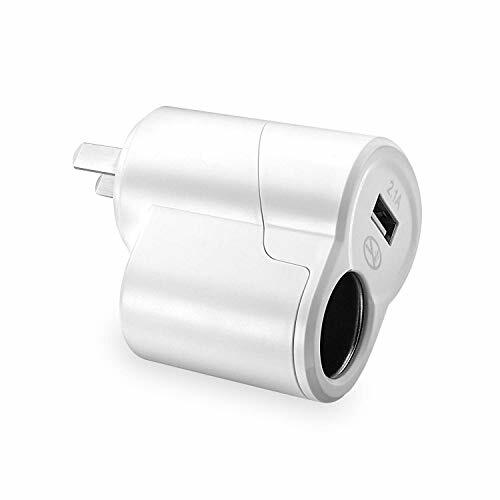 Widely useable - Wherever you are, whenever, the adapter can be used for air pumps, inverters, air purifiers, fans, mp3 players, car vacuums, dash cams and much more. Warranty: Sout are backed by 100% guarantee that you are fully satisfied with your product. Fast and premium 24/7 after sale customer service hours for your peace of mind. Dual USB Ports with 2 cigarette lighter sockets, charging up to 4 devices at once. Excellent Solution for Charging Multiple Devices on the Road. 2 Cigarette Lighter sockets Support GPS, dash cam, Tomtom, cooler box, DVD player or other portable appliances in your 12V/24V vehicle. 2 Smart 2.0 USB Ports Support Samsung Galaxy S8/S7/Edge/S6/Edge, Note 5/4/Edge, LG G5, Moto Droid Turbo, Nexus 6P etc. Adopt high frequency and low resistance capacitance with low ripple, it will not interfere the navigation, DVR, car audio, cell phone signal and other electronic equipments, safer to use. Intelligent Circuit Design: built in safeguards protect your devices against excessive current, overheating, and overcharging, short circuiting. 3. This charger provide a total power up to 80W, please don't plug any device over 80W. Considerate Design car charger multi-function design enables you to be free from the tingled lines, which makes your car neater. Features a 90 degree swiveling head pivot for flexible adjustment, perfectly convenient. our worry-free 12-month warranty, Free Lifetime Technical support and Hassle Free Replacement. Widely Compatible & Anti-Interference Function - Our Rocketek usb car adapter Fits DC 12-24V voltage, suitable for various cars, such as truck, SUV, off-road, bus etc. with anti-interference function design, will not interfere the navigation, DVR, car audio, signal or any other electronic equipments, safer to use. Car Splitter Security Cigarette Lighter Socket Digital LED display will show voltage value when you charging USB devices. If voltage value is over 12V, warning with flashing, charge will be stopped. Rocketek's car adapter have been certified by RoHS, CE & FCC, please feel free to use it. compatible with all Philips 7" , 9" dual screen or single screen in vehicle portable DVD players. model number: PD7012/37, PD9012/37, PD9012/17, PD9012G/37, PD9016/37, PV90021/37, PD9016P/37, PD9012P/37, PD9012P/37, PD9012M/37, PD7012P/37, PB9011/37, PD7016/37, PET708/37, PET726/37, PET7402/37, PET7422, PET9402/37, PET941D/37, PET941A/37, PET9422/37, PET9042/37B, PB9011/37, PD7016/07, PD9012M, Impecca Dvp-ds720, Aduiovox D7121esk, D9121esk, D1788es, Insignia Ns-7dpdvd, Ns-mvds7, Ns-mvds9, Axion Axn-7979 and all Sylvania dual screen players. 12V input, w/ LED power status indicator, about 11' in length, total length: 11', 6' from charger body to splits, 5' from splits to plugs. 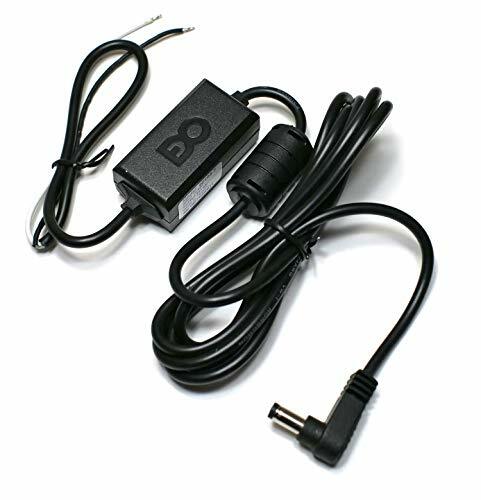 Car power adapter cord Rca Portable Dvd Players Drc6289 Drc6296 Drc6379t Drc6389t Drc69702 Drc69705 Drc69705 Drc97283 Drc97383 Drc97983. Have a Question? Is your portable dvd model not listed or are you not sure if this charger fits your dvd player? Contact me by Clicking on seller name: sellagogo . Scroll down, look on the righthand side. Click on Contact the seller link. 1.Insert connection line of the charging equipment to USB interface of the product and insert the product to a socket of AC power supply. 2.Insert the interface at the other end of the connection line to the interface of the equipment to be charged. The equipment prompts charging. Then normal charging is conducted. 3.When the equipment prompts completion of charging, it indicates that battery of the equipment is fully charged. There is no need to charge any more. Please pull out the charger from the socket and keep it properly. 1.Insert the car charger into the interface of car charger of the product. Then insert the product into the socket of AC power supply. 3.When the equipment prompts completion of charging, it indicates that battery of the equipment is fully charged. There is no need to charge any more. Please pull out the charger from the socket and keep it properly. The style is novel, unique and portable to carry. 2.The charging process is quick with high efficiency, good stability, safety and reliability. With USB 2.0 interface, connect different charging lines or data lines to charge the corresponding mobile phone (equipment). 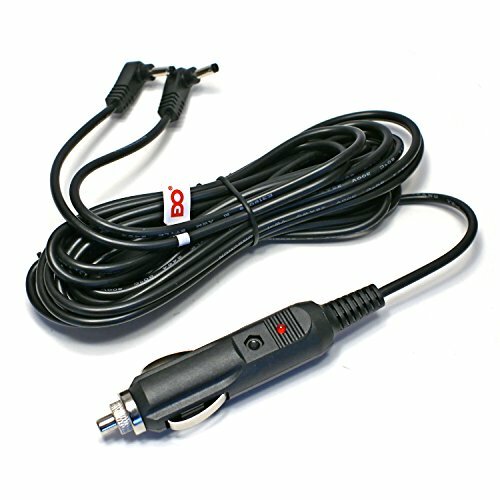 The universal car charger interface can remove the worries of consumers with car charger in the room but without the connection of AC charger. Connect the car charger through the interface and then connect different charging lines or data lines to charge the corresponding mobile phones (equipment). Authentic TeslaTap 40 AMP Version.... Handle and cable are UL/CE Certified... 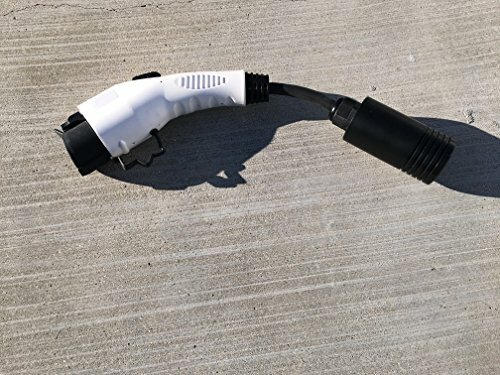 YES, THIS ADAPTER DOES WORK ON HIGH POWER WALL CONNECTOR VERSION 2..... With this adapter you can charge your non-Tesla EV on a Tesla Destination, UMC, or Wall Connector charger. The TeslaTap adapter has a special circuit that allows it to work on any current Tesla charger including Destination Chargers. This adapter has all of the pins needed to maintain all functionality and safety protocols used by both the UMC and J1772 charging systems. This is compatible with all portable and stationary chargers from 110-250VAC. It is recommended that you verify that the charger you are connecting to does not exceed your EV's voltage rating. 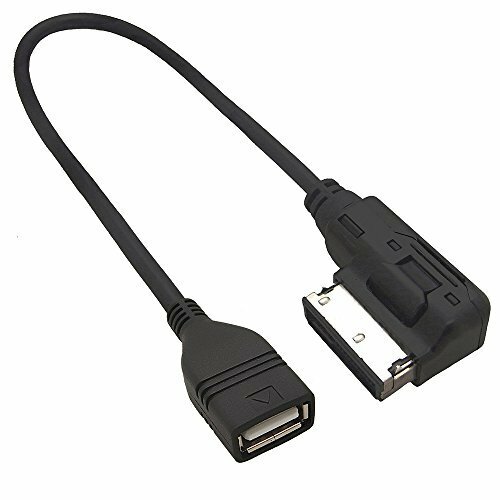 Adapter Compatible with any vehicle that uses the standard J1772 connector and protocols except the Chrysler Pacifica. ---- For more information please go to http://myteslatap.com This adapter is NOT COMPATIBLE and is not to be used with the Tesla Super Charger Network. 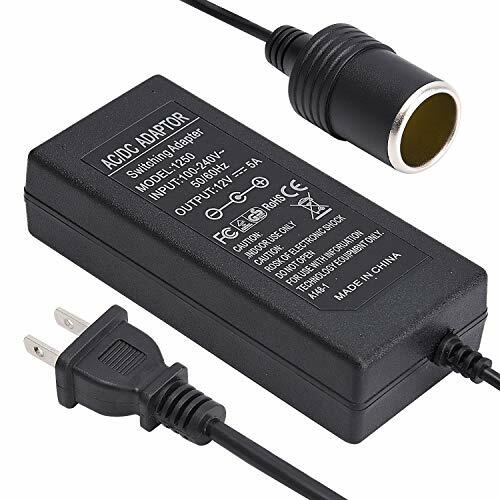 ---- Note: these have been sold by other suppliers that no longer sell them by the name of JDapter and QuickChargePower adapter. Tesla is the registered trademark of Tesla Inc. and is not affiliated with TeslaTap. Ultra compact design adapter with LED indicator, Plug size: OD 4.7mm or about 3/16 ( if you need small plug size cable, please use ASIN: B007O5DBJG). Available Car Models: It is compatible with Audi A3/A4/A5/A6/A8/Q5/Q7/R8/TT etc., depending on production date and the specific configuration of the car. The original box of AMI must has been preinstalled or installed in original audio host, and which is usually installed in the copilot's glove box or center armrest box, please check the configure list of the car or the car getting ready to be assembled before you make the purchase. Note: Your Audi and other Volkswagen cars need to be with AMI,MDI,MMI port and support Audio interface function. Suitable for all of electronic products with the USB interface. Suitable for all cars with AMI Interface. Tested Units. In Great Working Condition.UpBright 30 days money back guarantee. 1 full year service warranty. 24V DC to 12V DC Power Step Down 240 Watt Converter W/ PMW Technology PMW Power Technology Power Output 120W Continuous Power Output 240W Peak For Use in 24 Volt Vehicles Trucks, RV, Buses, Etc. 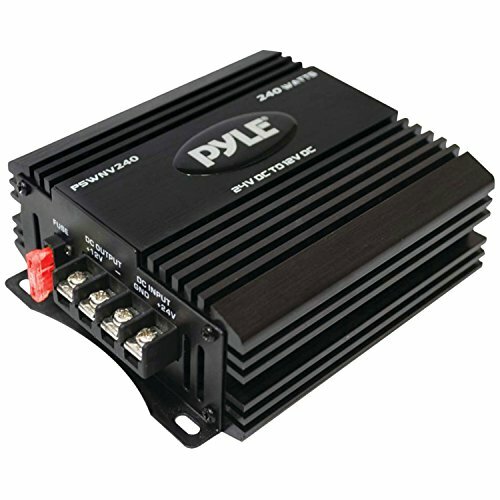 Allows installation of 12 Volt Items Such as Car Stereo's, CB Radio's, Fog Lights, Etc. 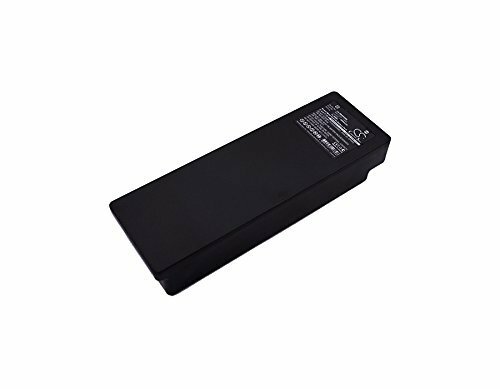 No load current draw: 4 Ways Protection (Short Circuit, Over Load, High Voltage & Low Voltage) Input Voltage:DC 24 Volt Output Voltage: DC 12.5v-12.8 Volt Fuse Rating:10A Converse Efficiency: 85% Dimensions: 3.34'' x 4.72'' x 1.88'' This power step down converter lets you use 12 V appliances in vehicles that normally supply 24 V of power. Now you can use your car stereo, CB radio, fog lights, etc. in your truck, RV, or bus! Get standard cigarette lighter voltage from your 24 V battery setup. This unit is capable of outputting 120 watts continuous, and up to 240 watts peak. For safety, it's equipped with short circuit, overload, high voltage, and low voltage protection. The fuse is rated for up to 10 amps. CONVERT 24V TO 12V: The Step-Down Converter lets you use 12V appliances in vehicles that supply 24V of power. It steps down voltage while stepping up current from its input to its output. Widely used in auto, electricity, surveillance systems etc. Suitable for DC power supply, In Car / CCTV Equipment and etc. 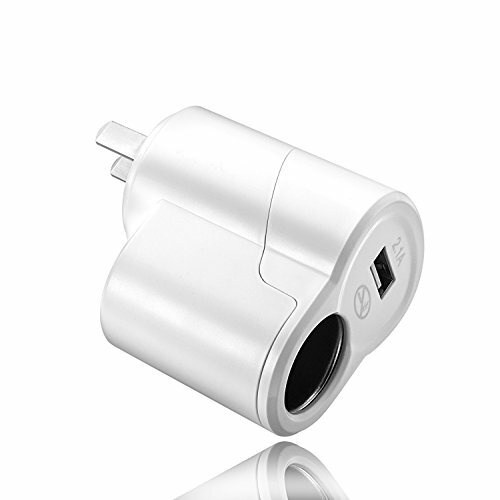 This adapter provides enough power for smartphones, GPS systems, MP3 players, cameras and other small portable devices. The style is novel, unique and portable to carry. charging process is quick with high efficiency, good stability, safety and reliability. Universal AC/DC Power converter ,Light and Compact,perfect for traveling or road trip. Can also incarnate as Home cigarette lighter is very convenient and Easy to use. Features: No control from receiver or steering wheel, No music information shows on receive. HYUNDAI i10 i20 i30 i40 i800 Hyundai Elantra Touring, Sonata, Azera (non-navigation units), Entourage, Santa Fe,Veracruz (non-navigation units) with Apple's iPod jack As long as your car has the above Ipod input port, this cable will work for your car. How to use: 1. Connect USB port and 3.5mm AUX of the cable to car Music Interface, while the lightning connector to your iPhone. 2. Turn on your car stereo, switch to AUX mode manually on car stereo. 3. Play music list on your iPhone. 4. Enjoy high quality music from your speaker. 7 / 7 Plus / 6 / 6 Plus /6s / 6s Plus / 5s / 5c /5. connect to Hyunday AMI system. This cable is for charging and music transmission only, phone call is not supported. This cable is just a outer connecting cable,it doesn't read the music through the car AMI MMI system,so this cable couldn't display the song names on the car screen. Switching songs by phones, can't link to the radio controls. Please note The camera is only compatible with mini3 which with a 3.5 mm jack mount. The camera with USB port do not buy this hard wire kit. Input voltage: DC 12-30V, Output vltage: DC 5V 1.5A. 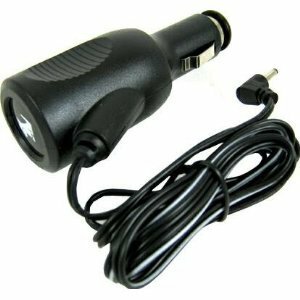 Perfect direct hard-wired car charger for mini3 DVR Dash Cam Recorder. Protection for over voltage, over current, over temperature, short circuit, low car battery voltage auto cut off. And can work in normal condition when restored. Work Function : convert household AC 110v-220v to DC 12V ,bring your car powered devices to use at home. Safety Features - Overload, and short circuit, along with correct voltage protection ensure safe, which makes car powered electronics to home use. Wide Compatibility: Works perfectly with any car powered devices under 60W, such as tire inflator, car cooler, car vacuum cleaner, car refrigerator, car massage cushion, car air fan. Easy to Use: Just plug it into any power outlet in your home, and it's ready to use for anything that has a cigarette lighter plug. Safe: Made from the highest quality materials, it will automatic overload cut-off, over Voltage cut-off, automatic thermal cut-off, short circuit protection. No worry to over-heating any more. 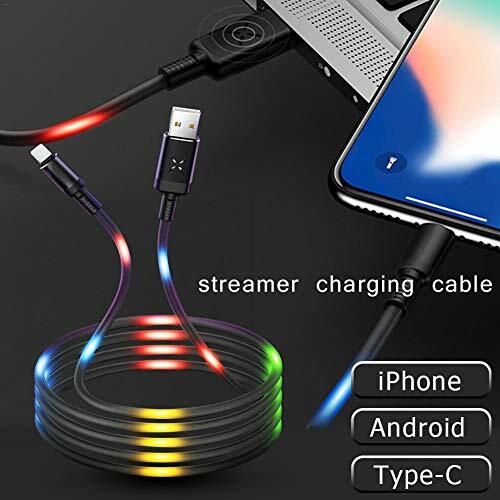 The streamer charging cable is a very beautiful light charging cable. When charging, the light of the charging cable flows like a running water to the mobile phone. Very beautiful, because the quality is better than the average charging cable, and the lighting effect is very beautiful, so the price is higher than the ordinary charging cable. But after you buy it, you will never regret it! 1, When charging, the light of the charging cable flows like a running water to the mobile phone. For iPhone X/Xs/XR/Xs Max, iPhone 8 / 8 Plus, iPhone 7 / 7 Plus, iPhone 6 / 6s / 6 Plus / 6s Plus, iPhone 5 / 5s, iPhone SE. These iPhone Lightning interfaces meet the needs of most iPhone phones On the market. When charging, the light of the charging cable flows like a running water to the mobile phone. 1. With 15A insurance, it can safely use car-mounted electrical appliances, and has high power and can drive car appliances with power below 180 watts. 2. There is a power switch, which can easily turn the power on and off. You don't need to plug in the cigarette plug every day, just press the switch. 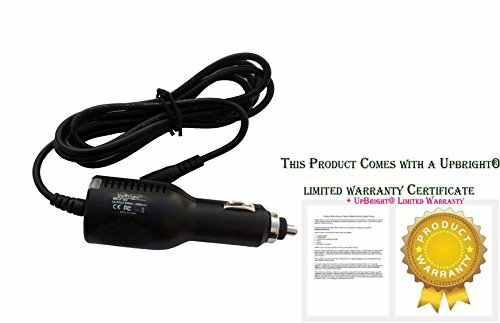 car charger extension cord 100% brand new. 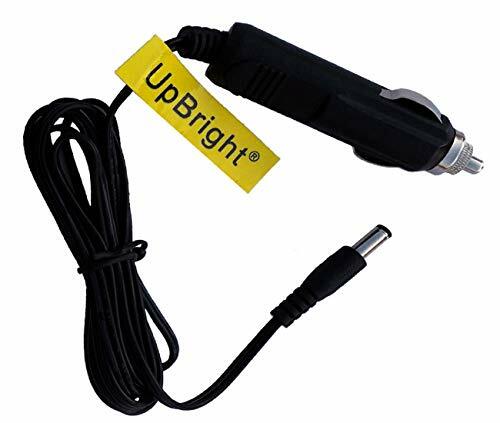 Safety protection:This cigarette lighter extension cord with 15A insurance, can be used safely to automotive appliances. Easy to Use: Directly plug into car's cigarette lighter socket. 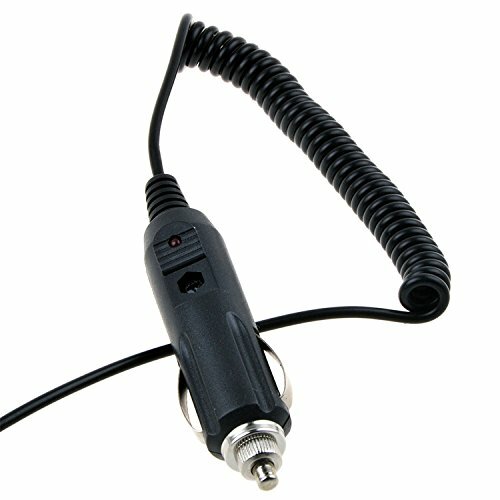 A super handy: 15A car outlet extender for cell phone / tablet chargers and power inverters. Perfect for heated blankets, inflators, lights, coolers, RV & other camping equipment. 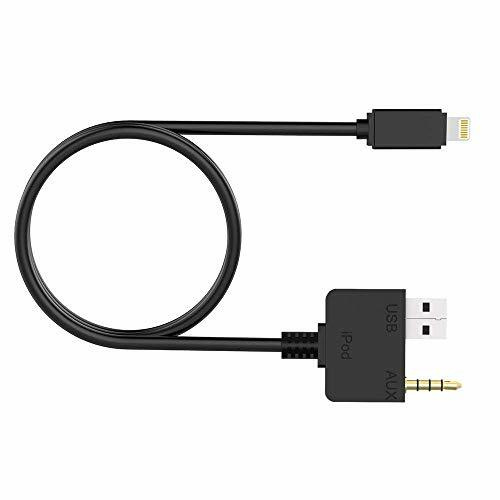 We've reinforced Flying Stars Micro USB cable with bulletproof aramid fiber-a first for a USB charging cable. We've bent this cable over 10000 times and observed no damage or change in performance. Works with Android and Windows Phones, Tablets and More Samsung/Nexus/HTC/Motorola/Nokia/LG/Sony/Blackberry/Xiaomi/Honor/Oppo/Sprint Samsung Galaxy J7/s7 edge /s6 edge/note 5 Power bank/Hard drives PS4/X box/PS Vita/E-readers/Printers Wireless keyboards/Cameras/Camcorders GPS devices, portable chargers, Bluetooth speakers, wireless keyboards, cameras & camcorders (Not Compatible with Apple Devices and Samsung 8 or any type-c port devices). Assorted Lengths: 6 Pieces! 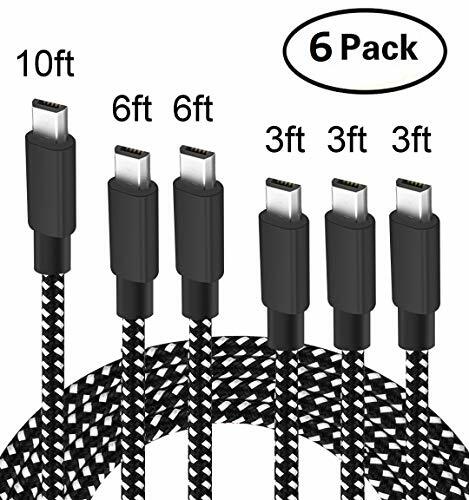 Every package contains Six Micro USB cables in different lengths 3 X 3 ft, 2 X 6 ft, and 10ft for various distances charging! Make your life more convenient. USB CERTIFIED FAST DATA-SYNC & CHARGING (USB 2.0): Supports safe high-speed charging (5V/2.4A) and fast data transfer (480Mbps). REVERSIBLE CONNECTOR: Keeps up with the latest trend of USB interface. This user-friendly design allows you to plug into all your Micro USB compatible devices without worrying about the orientation of the port. FEATURES A DURABLE 18 AWG CORD - For added strength, safety and reliability. BUILT WITH A 20 AMP INLINE SAFETY FUSE - Allowing the cord to be used on a large range of appliances. REINFORCED MALE PLUG AND FEMALE SOCKET - products are built to last. The fuse of this product is 15A. 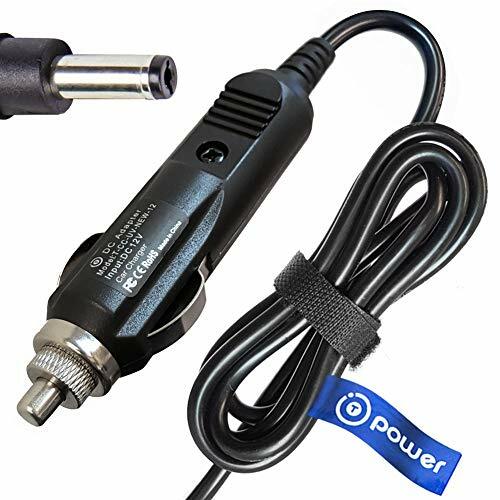 HEAVY DUTY AUTO POWER CORD - with a 18 AWG gauge wire specification, you will always have the convenience of power where you need it without the risk of overheating, common with lighter AWG cords. 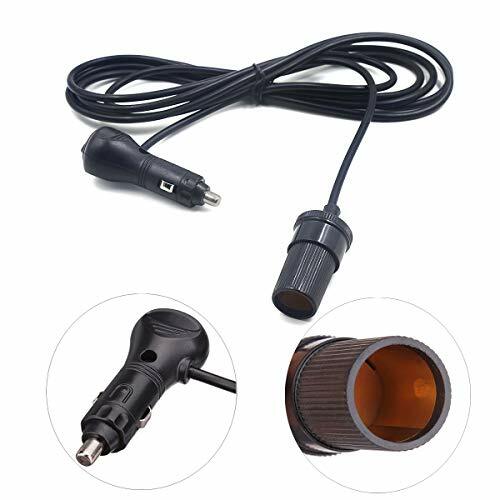 THIS PREMIUM QUALITY - male to female adapter cable plugs straight into a vehicle's cigarette lighter socket, easily extending your 12 volt power source when travelling. FEATURING AN EASY TO USE - male plug with power indicator light, an in-line safety fuse, a metal reinforced female socket and heavy-grade wire for reliable performance year after year. 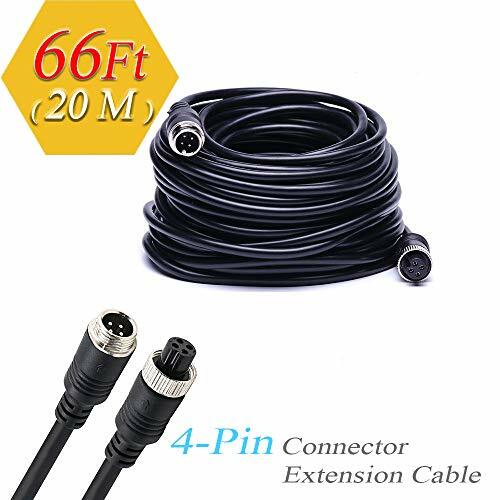 Male to female 4-Pin aviation video cable (20M 66FT), connector with screw lock. No worry about losing signal between monitor and camera, original design and easy installation . Widely used in truck trailer bus motorhome long vehicle for connecting parking assistance, surveillance CCTV system. Cables suits for vehicle to extend the installation distance of camera and monitor, camera to vehicle DVR. Weatherproof, shockproof for outdoor use, Ensure precisely signals transmitting. Compatible with professional CCTV/ surveillance 4-pin connector monitor, rearview camera, DVD player, TV box.